The United Kingdom’s National Health Service has variously been described as “the greatest gift a nation ever gave itself.” And rightły so because, thanks to the NHS, the country’s nationals today have at their beck a healthcare that easily ranks as one of the most qualitative in the world, catering to their medical needs from the cradle to the grave, free of charge. Despite its many challenges over the years, from funding cuts to patients’ prolonged wait to secure appointment and outright abuse of the system even by non-Britons, the NHS still offers the most practical template for nations keen on adopting a universal health coverage programme for their citizens. Indeed, the National Health Insurance Scheme (NHIS) introduced by the administration of former President, Chief Olusegun Obasanjo, may have been loosely fashioned after the British NHS. But the National Health Insurance Scheme is not immune to the sort of problems that the UK’s NHS has been beset with. Besides the fact that the envisaged health coverage has yet to extend to a significant number of Nigerians proportional to the country’s population, there is as well the question of quality of healthcare offered by the health management organisations under whom hospitals that signed up to the programme are registered. Its growth had also been slowed by the seeming lack of enthusiasm shown by states, thus restricting the programme’s subscription mostly to federal establishments and large private companies. Inspired by Bevan’s philosophy, the Enugu State government, a few years ago, launched its Free Maternal and Child Health programme. And, given how positively it has impacted the lives of beneficiaries, it may well be described as the government’s best gift to pregnant women and under-five children in the state. 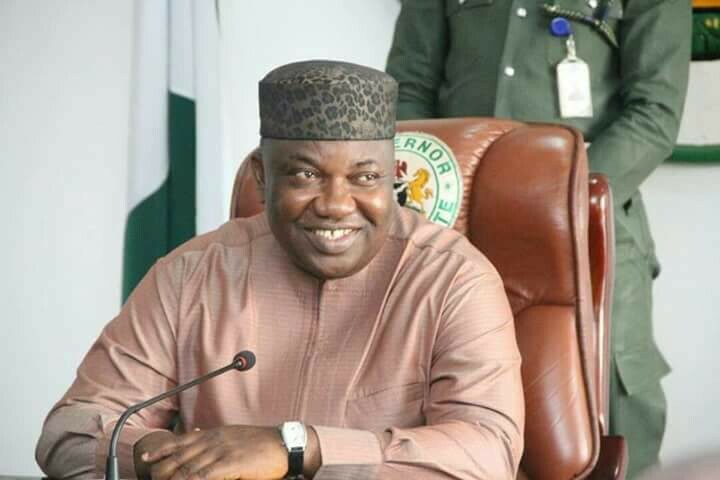 Governor Ifeanyi Ugwuanyi’s recent signing of the state’s Health Sector Reform Law, a comprehensive law that seeks to improve the quality of primary healthcare and expand its reach, is further demonstration of his conviction that healthcare is a binding social service. The new law essentially aimed at ushering in universal health coverage will also institutionalise the Free Maternal Child Health (FMCH) scheme and strengthen its operations. It will, above all, see to the free treatment of every indigene, with much of the expected minimal contribution coming from the formal sector, while the indigent can access treatment without such obligation. That commitment to a functional public health system had also led to the doubling of the monthly fund earmarked for FMCH by the Ugwuanyi administration last May, a gesture that the state’s health commissioner, Dr. Fintan Ekochin, excitedly dubbed “one of the greatest State Executive Council approvals,” at a press briefing. The approval referenced here was the Ugwuanyi administration’s monthly contribution of N8.5 million as counterpart fund for the state’s free maternal health initiative, which brought the total figure available to fund the programme every month to N17 million. To put the excitement over Enugu State’s budding revolution in public health administration in context, it is important to consider some statistics that shed light on the state of maternal and infant health in Nigeria. According to a report published in 2013 by the Nigeria Demographic and Health Survey, the country has a maternal mortality rate of 576 deaths per 100,000 live births. The statistic is so because a significant percentage of women is unable to access proper medical care while pregnant, a fact that is mostly a function of their economic state. Another report jointly sponsored by UNICEF, WHO, UNFPA and the World Bank was no less grim. According to that report, Nigeria is the highest contributor to maternal mortality in West and Central Africa and also records 14 per cent contribution to the global maternal mortality rate. Although particularly worse in some regions, the figure is roughly shared by all the states of the federation, with a few states like Enugu that had over the years made substantial investments on maternal and infant healthcare posting records much lower than the national average. I discovered first-hand how Enugu State’s sustained investment in primary healthcare has benefited rural communities on a recent visit to Udi District Hospital, a semi-urban facility where the free treatment for pregnant women and children could be accessed. I learned from Dr. Celestine Nwolie, the facility’s chief medical officer, that mortality rate has drastically reduced to such am extent that only one maternal-related death occurred in the many rural communities covered by the health facility last year. Given its intangible nature, such progress data may tend to be overlooked as they are often not immediately discernible to all. But if the state’s FMCH programme ever required any validation, it is not in the trite sense of the buzz, which a sustained media coverage generates. Its validation rather derives from the daily influx of expectant mothers and infants at primary healthcare centres across the state, people whose quest for standard medical treatment might have ordinarily been impeded by an unflattering financial status. The case of Ms Ngozi Odo is a stark reminder of the risk borne by pregnant rural women prior to the maternal and child health programme. Odo, a trader from Nkanu West council area, had her baby at Abakpa Health Centre, a primary care facility located in a high-density neighbourhood in the Enugu metropolis that records one of the highest out-patient visits. Without this, according to her, she might have been compelled to visit a quack. “That was how poor, pregnant women in my situation risked their lives in the past,” she added. For Mrs. Blessing Ene, the free health programme is the “real democracy dividend.” She is particularly thrilled that access to treatment is not restricted to indigenes. “Enugu State has really shown that the welfare of the people matters. The first time I came here, I was surprised when I inquired about my bill but was informed that I didn’t have to pay anything,” Ene, an indigene of Kogi State, explained during her antenatal visit to Udi District Hospital, a few weeks ago. Similar cheery tales are recounted daily at the 450 primary healthcare centres and 53 secondary facilities spread across urban and mostly rural communities in the state, which have all seen a surge in patronage since the programme was revamped with more funds and better implementation. I asked Ene what she considered the single most important benefit of the programme. She didn’t have to ponder for long. “It is the fact that many pregnant women who would have delivered their babies at home due to lack of funds now come here knowing they won’t have to pay,” she said. While statistics such as Nigeria’s overall unflattering maternal mortality rate may still leave much to be desired, especially in a week commemorating the World Health Day, it is little progress reports like the foregoing firsthand accounts, which typically don’t make the headlines, that offer some real cause for cheer. And it is just as well that such seeds of hope were nurtured by a man not inclined to hogging the limelight, Governor Ugwuanyi. For him, the state loses its meaning when the people’s welfare ceases to be at the centre of every policy. Any surprise then that the people gave him such an overwhelming victory in the recent gubernatorial election?